How to Share Instagram Story? Although Instagram is one of the best social media sites in the world, we can say that it is the site that has the most shortcomings. Many features that can be easily done on other sites are not available on Instagram. One of them is exactly to share a post on Instagram. You cannot share content in your own profile that you like or find useful on Instagram. Even for this simple operation, you must use additional applications. We know how boring it is, but there’s nothing to do. Instagram has very strange strategies. You can find many applications for it at Android and Ios market. Paid and free of charge, these apps allow you to share the content you want on Instagram. But in doing so, it adds its own application links or name to the included content. So briefly, the application allows you to use this feature on the condition that you advertise. Some users don’t want to allow others to share content. You cannot share these content. Is it possible? In fact yes but you can share it with a slightly different method (photos only. You can’t share videos). This method is legal and you do not need to use any application. Take a screenshot of the photo you want to share on your mobile device, and share the screenshot you get as a photo in your account. It’s that simple! You cannot share videos because the screenshot cannot be taken. You can only share links to videos. 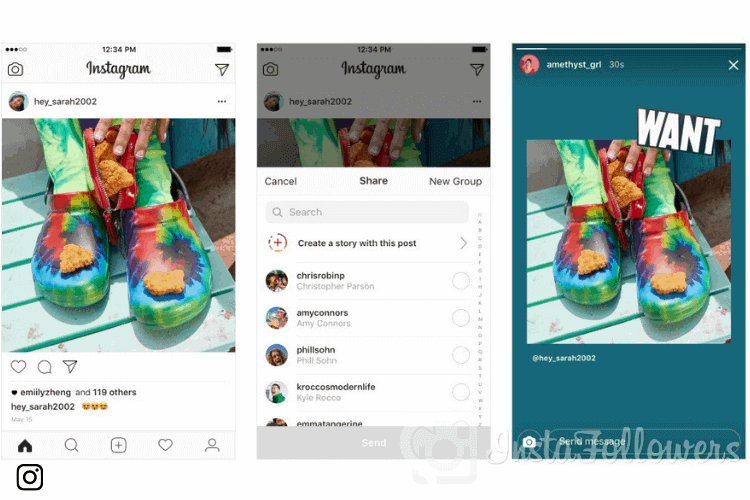 If you like an Instagram user’s story, and you like to share it on the story section, you can do it easily. Go to the shared story post and click “Add to my story”. And share it with your followers. On the content you submit, you will see a link to that content and you will be able to access that content via that link. You do not need to use the application for Story sharing. You can do this already in Instagram and there are no restrictions. Likewise, others may share your story content. Since you can’t use this feature in Instagram’s own application, you have to try some applications. 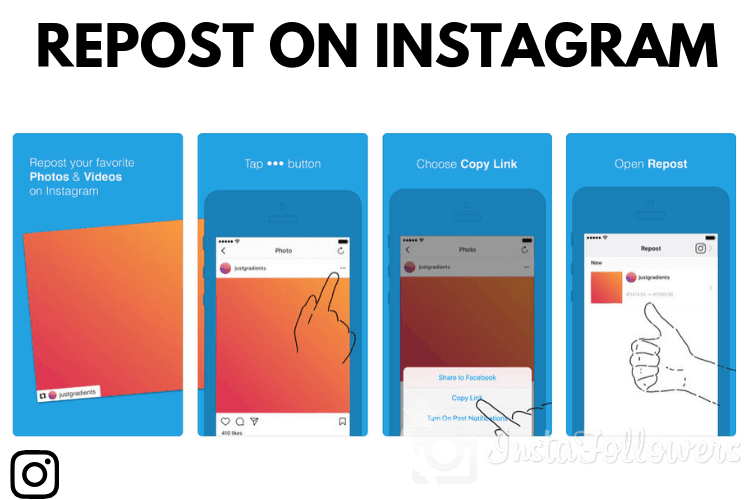 If you want to share a post on Instagram, you need to get help from some mobile app. You can copy the content link you want to share and share it in your Instagram account with the help of the application. We obviously do not know how safe these applications are. Pay attention to any application permissions that they require from your mobile device. We do not recommend sharing your password with any application. There’s nothing to do about it, although it’s not pleasant for users to add their own ads to each shared content. We recommend that you read our previous article titled How to Turn on Instagram Notifications?.